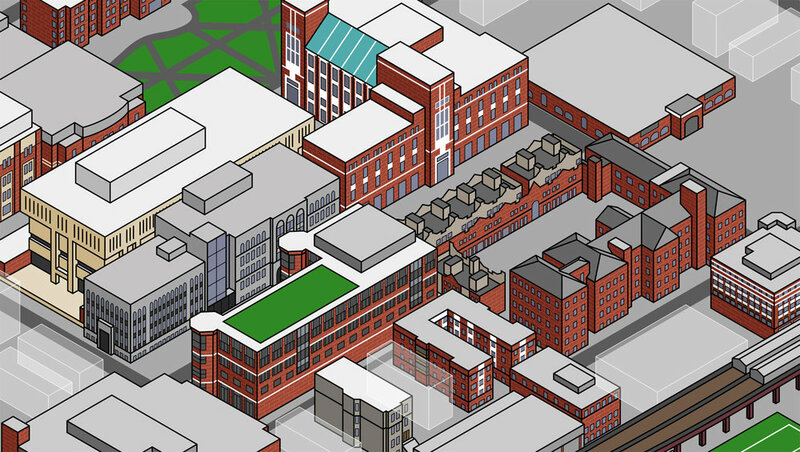 Commissioned work for DePaul University to create accurate isometric maps for their Lincoln Park and Loop campuses. Commissioned work for DePaul University to create accurate isometric maps for their Lincoln Park and Loop campuses. The maps are currently in use for a virtual tour that can be seen here.